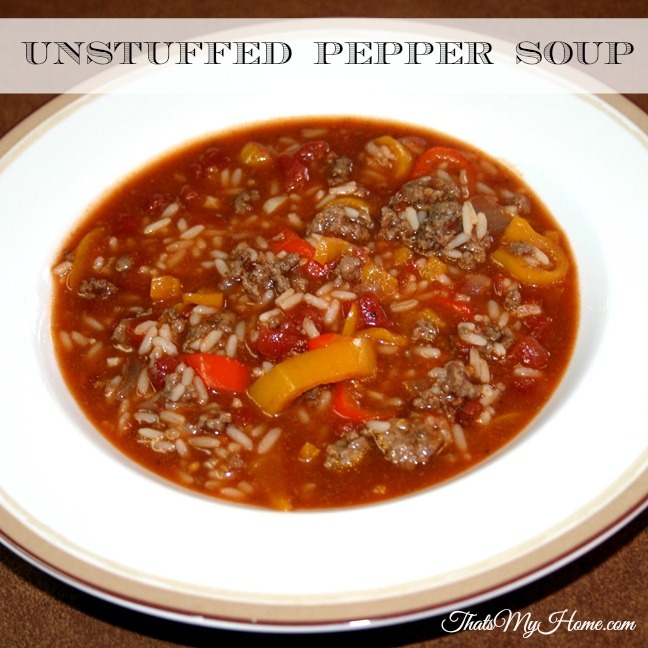 Delicious Unstuffed Pepper Soup is made with the same ingredients you would use if you were making stuffed peppers. Loved this soup. I went grocery shopping the other day and had forgotten I had already bought a bag of sweet mini peppers, so what to do? I made this soup to use them up and it turned out great! I used a pound of peppers in this soup and you will notice there were no green ones, the mini sweet peppers only come in red, yellow and orange, feel free to use whatever peppers you have. Brown ground beef with onion and garlic. Add remaining ingredients except rice. Cook for 30 minutes over medium heat, stirring occasionally. Add rice and cook another 20 minutes or until rice is tender. 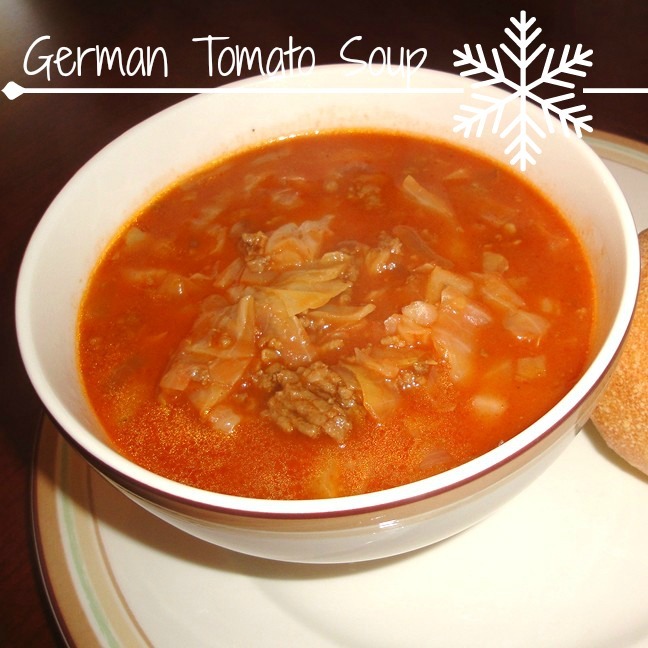 How about The Villager’s German Tomato Soup? This is one of my all time favorites! 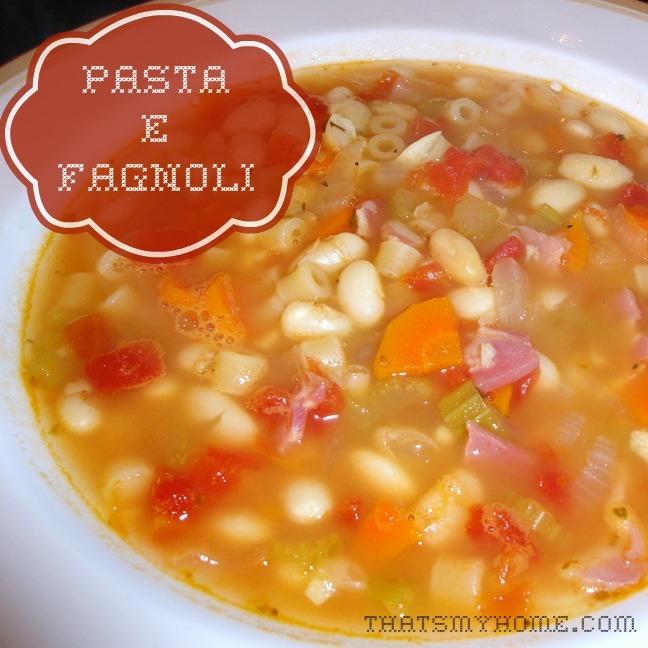 Perhaps you’s also like Pasta E Fagnoli?